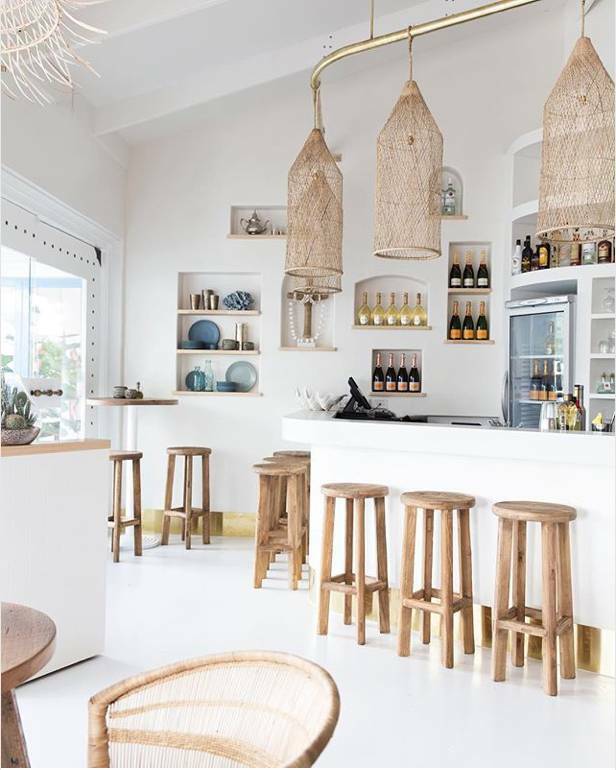 Beautiful, Beautiful, Beautiful bohemian inspiration from Biron Bay Australia. The art in this styling is the white base softened with naturel elements and the addition of brass, green and bleu elements. Tip! choose 3 or maximum 4 color tones and let them come back repeatedly in your styling. That way you can apply the color(s) you connect with most, while avoiding chaos. :-) Discover today's lookbook to create a similar styling.